Dale of Merchants Collection preview — Coven of cuddlies? Dale of Merchants Collection is currently being Kickstarted and, at the time of writing, it has achieved just under 200% of its funding goal. You can access the Kickstarter here, should you be interested in backing it. Here at Big Boss Battle, we’re already working on a review for Dale of Merchants 1 and 2, but since our review will not go live until after the Kickstarter ends, please treat this article as a preview following around ten to fifteen games using cards from across Dale of Merchants 1 and 2, as well as the new decks included in Dale of Merchants Collection. For those unfamiliar with the Dale of Merchants series, let me introduce you. 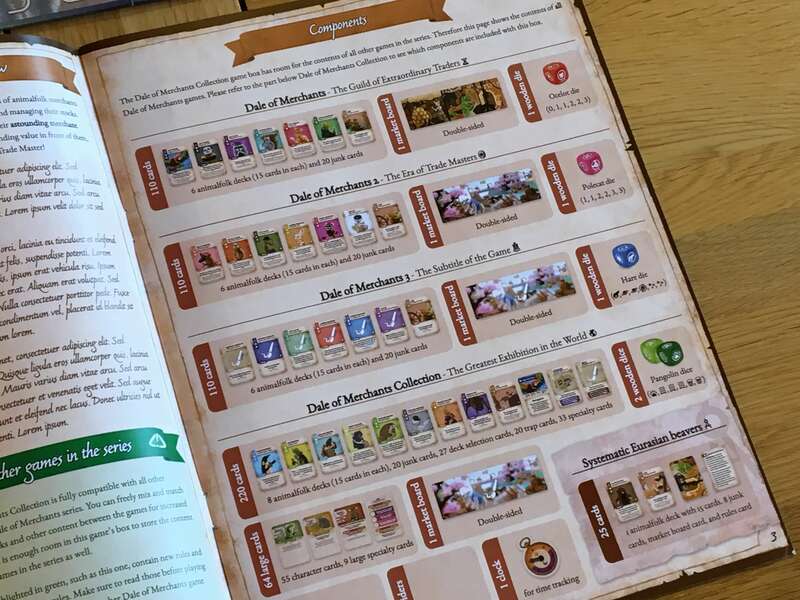 Each game features a number of animal decks (in the case of Dale of Merchants 1 and 2, that’s six decks). Players pick a number of these decks equivalent to how many players there are, plus one. So in a two-player game you choose three, in a four-player game you choose five and so on. Dale of Merchants Collection contains more content than either of its predecessors, featuring eight individual decks. Of course, if Dale of Merchants Collection were simply eight new decks then the name wouldn’t make a whole lot of sense. The Kickstarter also includes a standard-size, thirty-centimetre square box with a custom insert and a number of deck organisers, letting returning players consolidate their entire Dale of Merchants collection down into a single, manageable box. There’s reportedly even room in there for the next product to be added to the series. Collection isn’t just more of the same — not quite, anyway. There are also decks of both character cards and trap cards, which you can use to add variants to the base game. You fold traps into existing decks to introduce elements of interaction between the players, whilst the characters cards generally convey a unique ability or power that can really introduce an element of differentiation to the game. Again, there appear to be specific spaces for these cards in the box, so it should be easy to decide whether or not you want to include them game by game. In gameplay terms, Dale of Merchants is a deckbuilder with a twist. 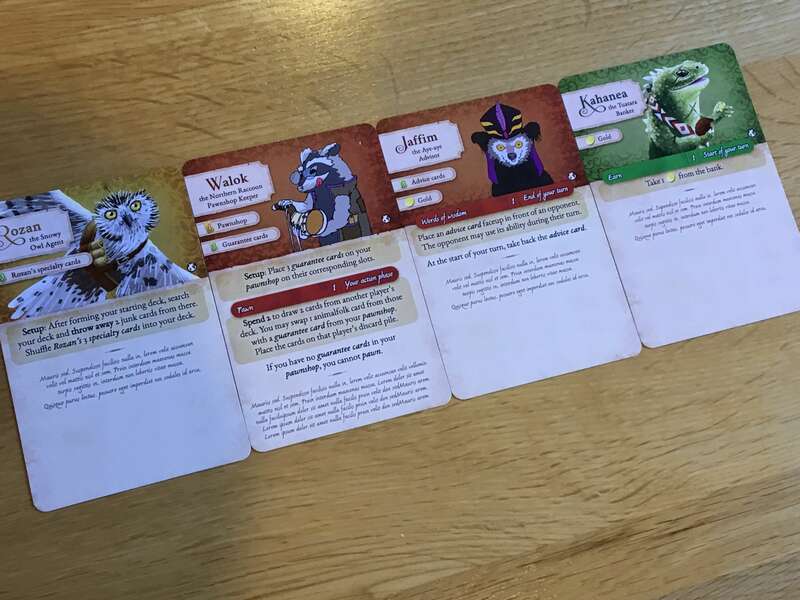 Players begin their hand with a 1-value card from each of the animalfolk decks in play, plus a whole load of junk. On each turn, they can take one action. Actions can include discarding cards in order to purchase another one from the market; using a technique described on their card; or placing a stack of cards in front of them in what is thematically referred to as their stall. To win, a player must add eight stacks onto their stall, beginning at a value of exactly one and ending at a value of exactly eight. Each card in a stack must be of the same suit and their values add up to the stack’s total value. My experience with the game so far has been excellent. Individually, Dale of Merchants 1 and 2 could be accused of lacking variety, but Collection solves this with the extra two decks and, perhaps more relevantly, by letting existing players combine what they have already bought. A couple of the pledge levels also allow players to purchase all of the released content to date. With eighteen decks, you’ll simply never run out of things to do — especially when characters and traps are added into the mix. 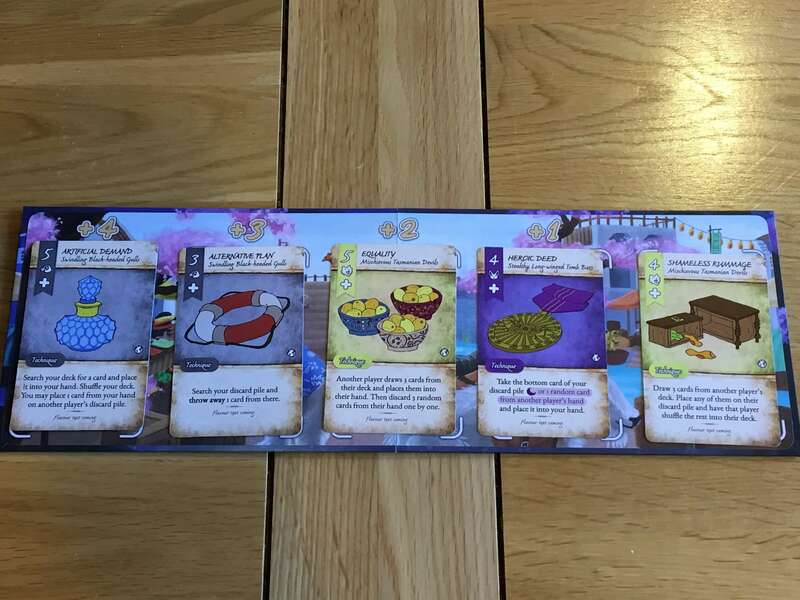 Our review for Dale of Merchants 1 and 2 will go live later this year. A partially complete preview of Dale of Merchants Collection (missing box, insert, dividers and a few other components) was provided for preview purposes, as was a retail copy of both Dale of Merchants 1 and Dale of Merchants 2.